Nate Cordray serves as an retail leasing associate at Matthews™. As an effective deal maker, Nate assists both landlords and tenants in full service retail leasing brokerage services. From private capital to institutional clients, Nate and his team represent a wide assortment of property types including shopping centers, high street retail, and ground up construction projects. 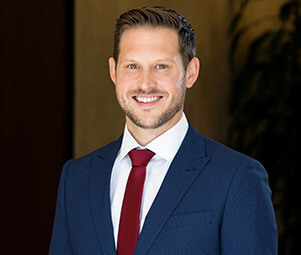 Growing up in the Greater Los Angeles Area, Nate leverages his in-depth market knowledge and expansive network to provide the best potential strategy for his clients. Aside from his ability to establish strong client relationships, Nate ultimately aims to drive his clients towards their investment goals. Prior to joining Matthews™, Nate worked as an Senior Account Executive at ESPN for seven years, where he developed and managed $2 million in annual revenue including non-traditional revenue (includes corporate sponsorship sales for Lakers, Rams, Angels, and USC Football & Basketball, experiential marketing, and on-site activations of signature ESPN annual events), broadcast media, and digital assets to support client marketing initiatives.